When the unfortunate happens and your vehicle develops a fault all you need to do is pick up the telephone and give us a call, we can normally inspect your vehicle the same day and give you an indication of where the problem lies. There is no problem too big for ACS AUTOWERKS so give us a call regardless of the issue, even if you simply cannot start your vehicle we can organise recovery for you. Maybe you have just discovered the engine management light is on?.. 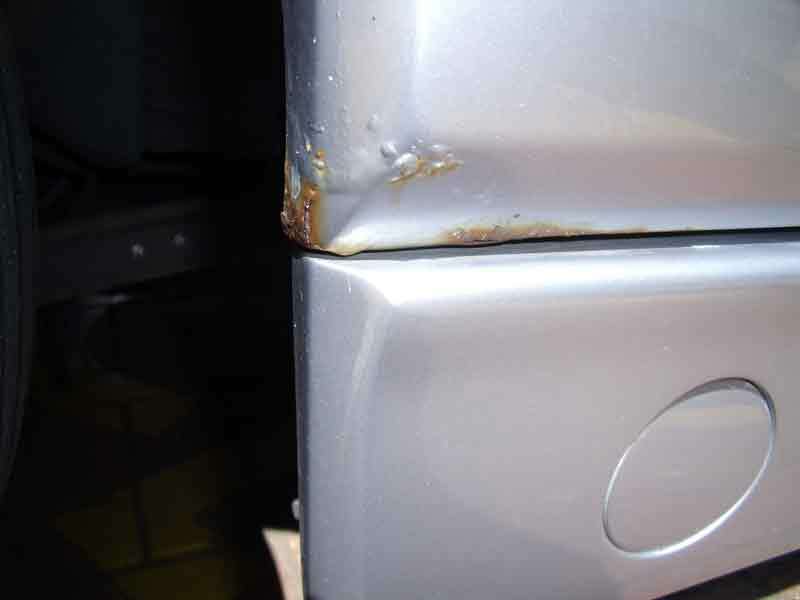 This is often caused by a number of issues with your vehicle. 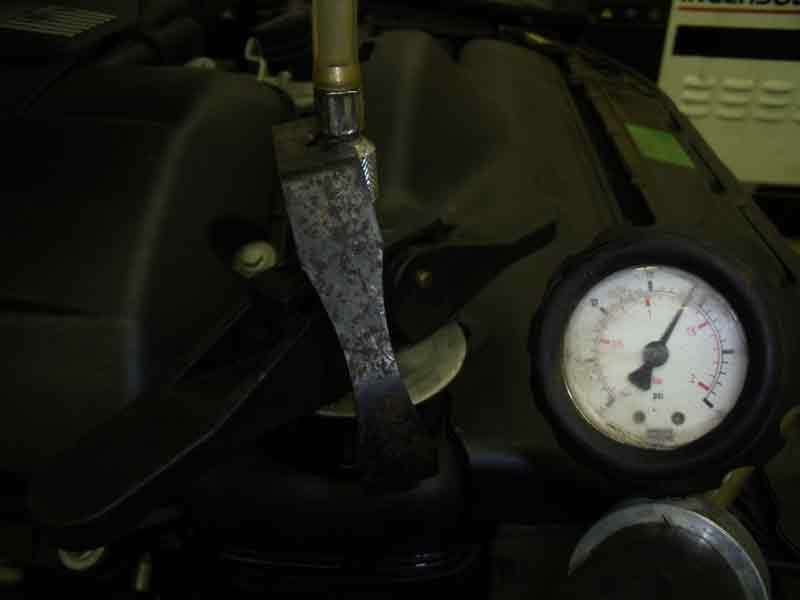 The cause can be looked into through a Diagnostic Inspection and this can often be performed while you wait. Below is a sample of how we approach a problem just to give you an idea of how we work. A BMW 530i came in to see us one morning overheating and loosing coolant rapidly. The first step for us was to check the coolant level and top it up. Step 2 was to bleed the cooling system so that no air blocks would be present and disrupt the test. After preparing the vehicle for testing we fitted the Cooling System Pressure Tester to the radiator and pressurised the system. In this instance the pressure was immediately dropping, indicating that there was a possible leak somewhere in the system. 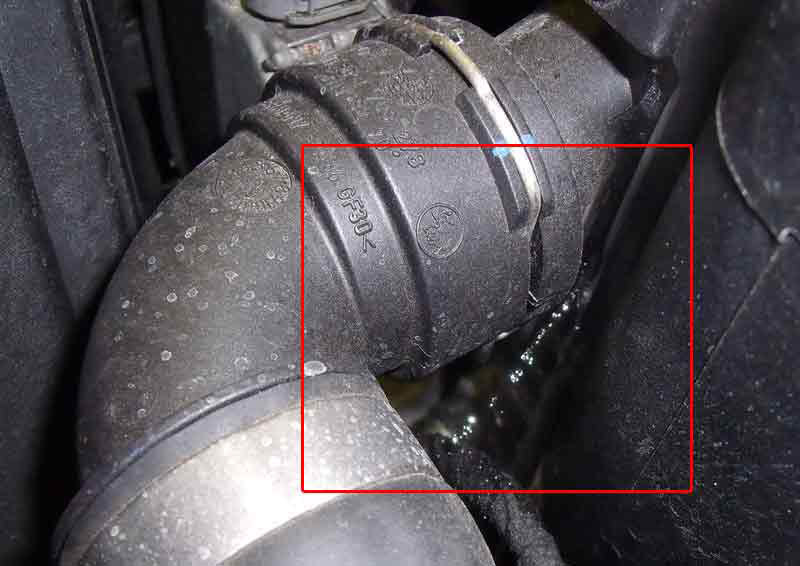 After searching the engine bay we spotted the leak coming from the radiator hose. This type of leak is very common on todays modern radiators. Most manufacturers are now using this type of radiator which is made up of aluminium and plastic. 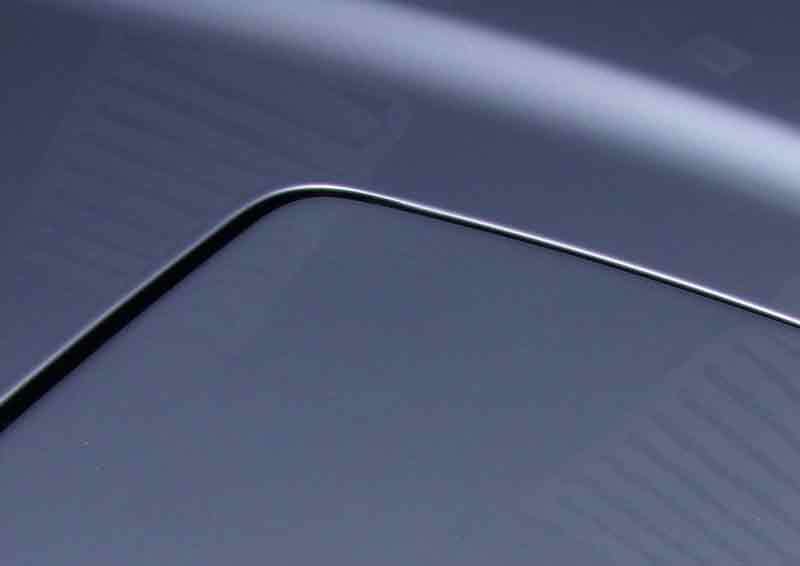 It is often the plastic that will fatigue first with the stress of constant temperature changes. Needless to say we replaced the Radiator with a Genuine BMW Radiator. The cooling system was flushed and the coolant replaced with 5 year high grade coolant. After this all the levels checked on the car. The vehicle was then pressure tested once more to ensure no other leaks were present. As part of our customer service pledge we treated the engine bay to a steam clean as the previous leak had made quite a mess. The car was valeted and parked up ready for collection by one satisfied customer. The tools and knowledge we use in our diagnosis and repair are second to none. Our tools are of the highest quality and we have the knowledge to use them correctly. This means that we have confidence in our workmanship and diagnosis. This much loved 840ci came in to see us with a few minor issues the owner wanted to put right. 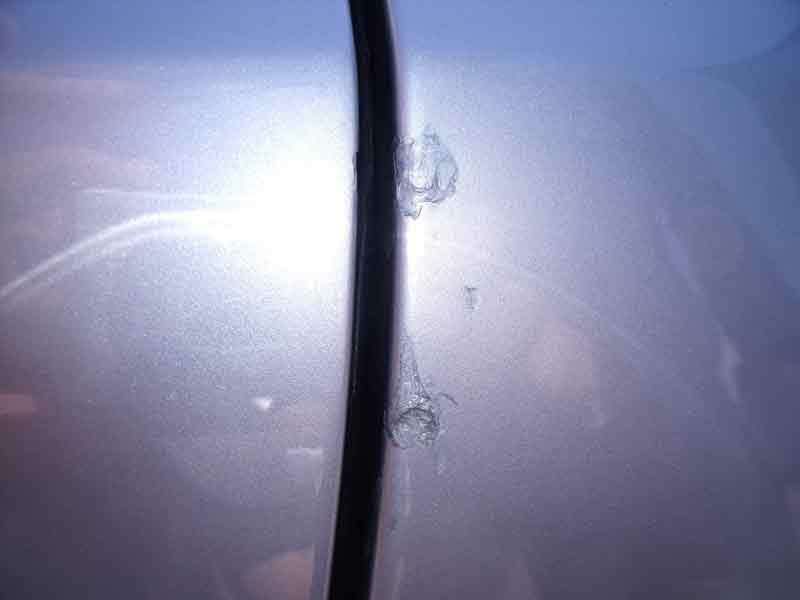 Due to the age of the vehicle a few small rust patches and stone chips had started to form and needed some attention. 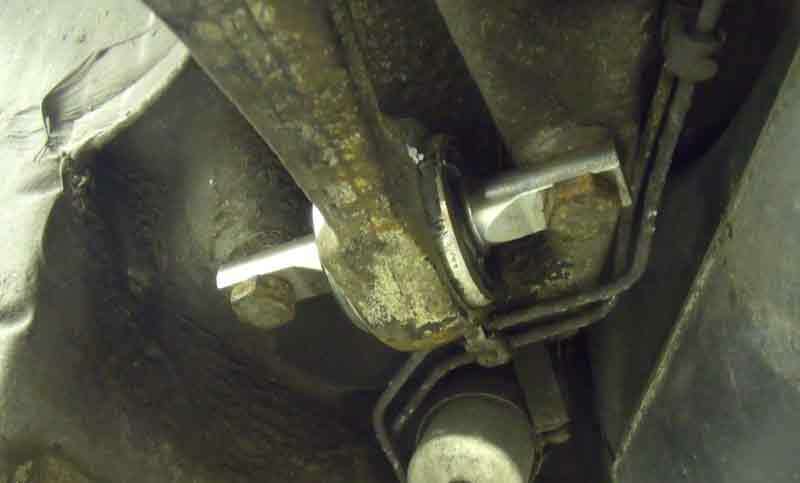 This vehicle is not a daily driver and because of this the front brake discs had become quite corroded and unevenly worn giving a spongy and weak feel to the brakes. 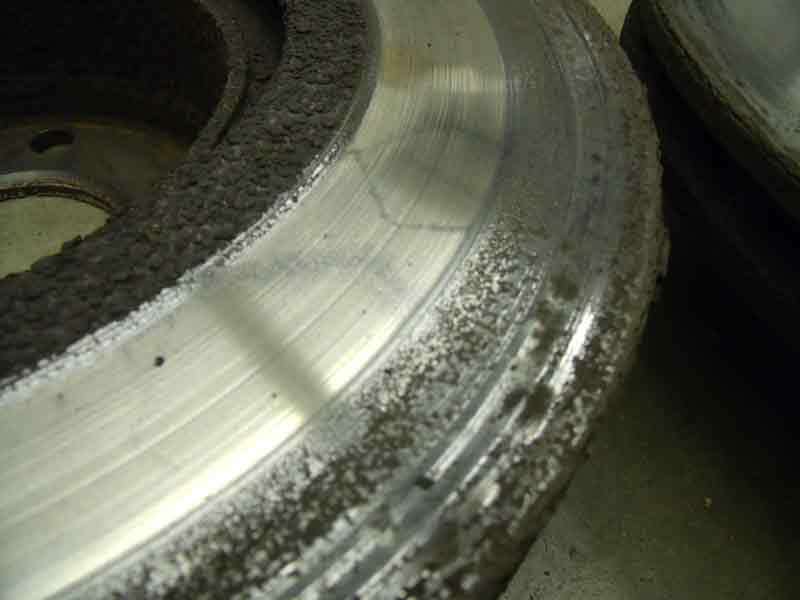 As you can see from this picture, once we had removed the discs from the car it was very obvious just how much corrosion there really was and how little surface area the brake pads had been using. We then swiftly fitted new brake pads and new brake discs to fix this issue. After a full inspection of the vehicle we also found that there was a large amount of play in the rear trailing arm bushes so both of these were removed and replaced with original BMW bushes. 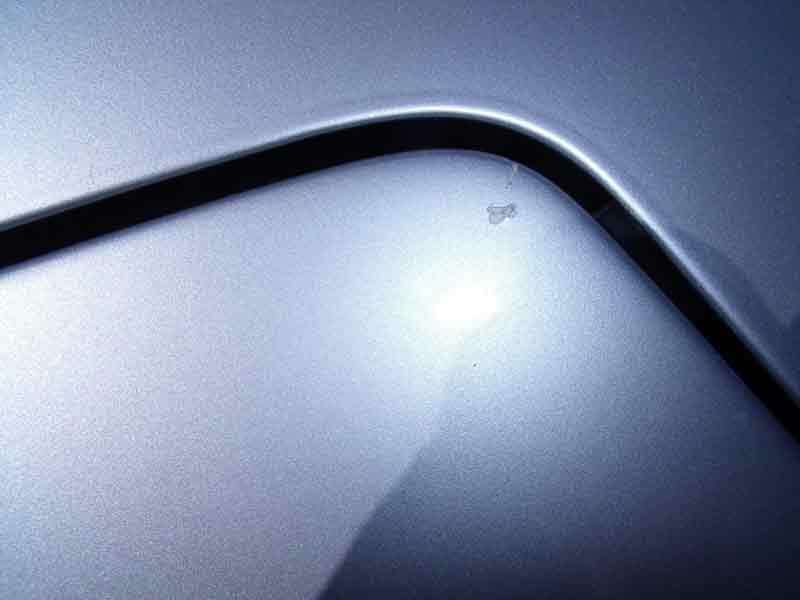 With the 840ci now driving right we turned our attention to the body work. 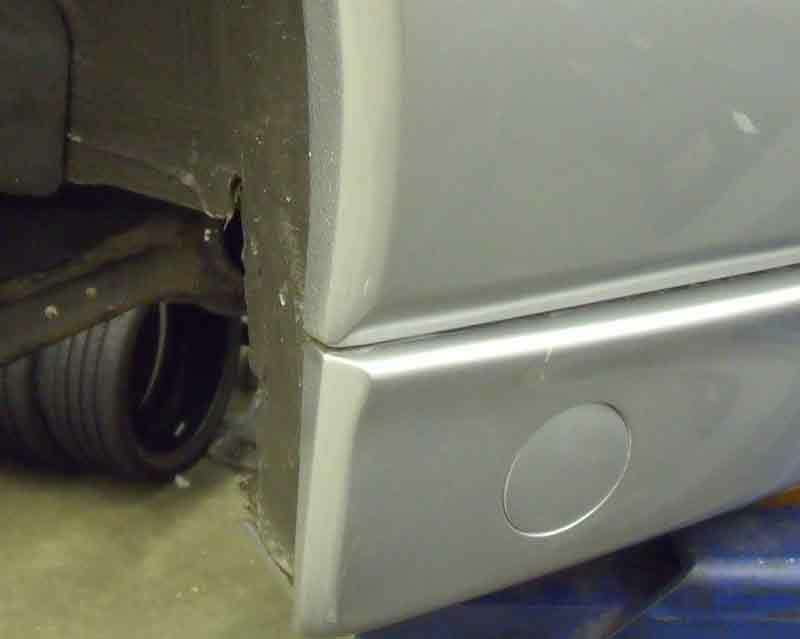 As you can see the rust was starting to settle in on the rear lower wheel arch and the stone chips would soon follow suit if not treated. 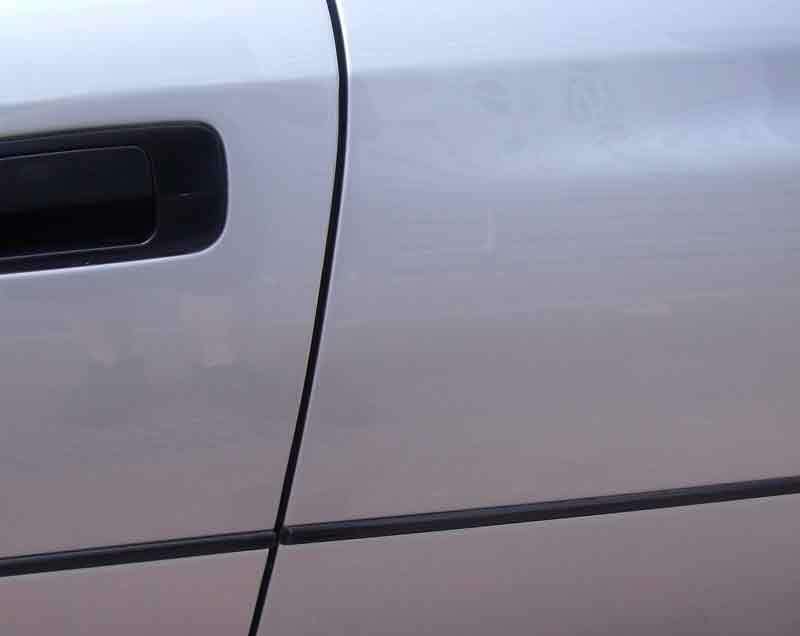 The rust was then treated and the necessary areas repainted to make the car look fantastic once again. Finally everything is checked one last time to make sure all necessary repairs have been completed and the car is truly ready to go back to its loving owner. Last but not least the car is given a full valet inside and out and is parked up ready for collection. 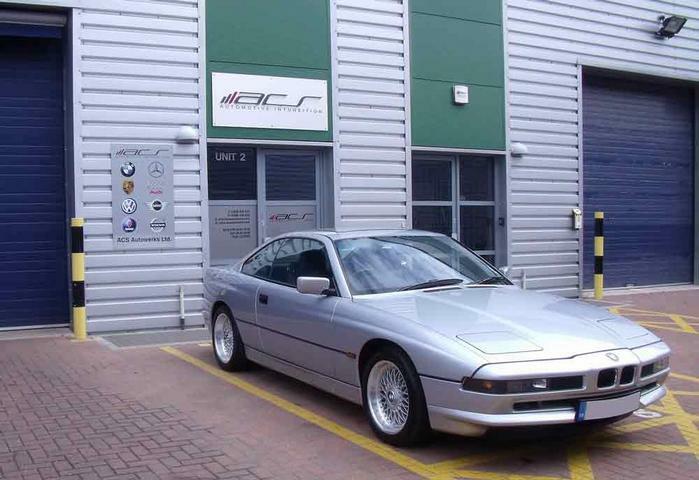 This beloved 840ci will continue to shine and make its owner a very happy person.